Welcome to the Bay State Pump Co.
For years, Bay State Pump Co. has served Massachusetts, with a commitment to service and value. We appreciate your interest and look forward to earning your business. Having fresh and clear water is very important to our health and overall well being. We can survive on water and is crucial to keep our bodies performing at its best by providing hydration. Making sure wells and filtration systems are functioning properly is a goal of ours here at Bay State Pump Co. For many years we’ve been using the highest quality tools and materials to make sure your water supply is coming from a proper source. We are located in Holden and we cater to all of Massachusetts including Worcester county. Our services are comprehensive and extensive when it pertains to wells, pumps and water filtration systems. 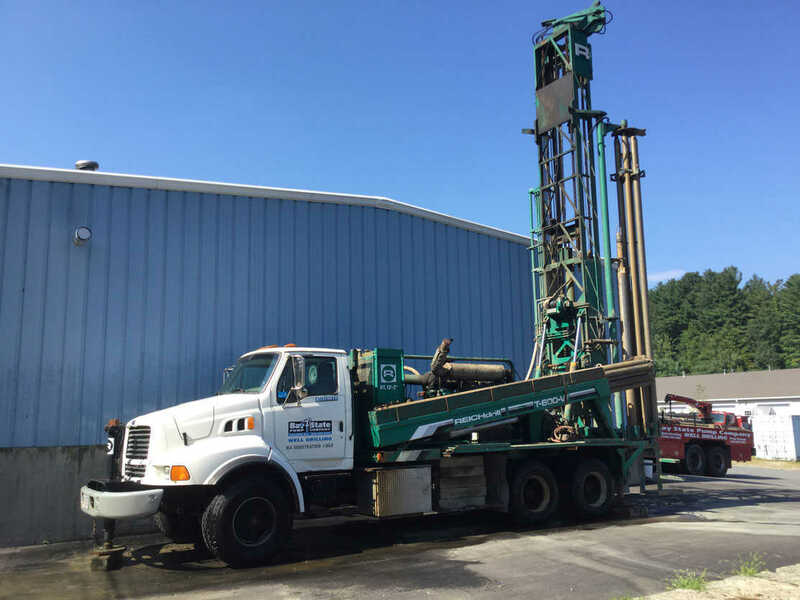 We are a leading provider of well drilling services and Geothermal Drilling. We use only the best equipment that will get the job done right the first time. We have an edge over our competitors because we don’t leave a job site unless our client is 100% satisfied. Fresh water is essential and with our hydrofracking services, this can be made possible. In addition to well drilling and geothermal drilling, we also provide services for installation of water filtration systems as well as irrigation pumps. We have a stock of the most current brands of tools and materials. We can customize any project to meet your specifications and needs. If you’re not happy with the work then we will do whatever it takes to make sure our clients’ specifications and requests are met. Thank you for visiting our website. We hope that you find Bay State Pump Co. to have everything you need when it pertains to water. We are located in MA and we service many areas including Worcester and Holden MA. Our prices are competitive, but our services can’t be beat. If what you’re looking for is water filtration needs, irrigation pumps installed, hydrofracking, geothermal drilling or well drilling, please feel free to contact us. We are the premier location for all pump service needs. We look forward to hearing from you. Bay State Pump Co. provides personalized service and affordable rates. If there’s anything else we can do to make your experience a little easier, just ask. We appreciate the opportunity to serve you. Baystatepump.com provides an overview of our services. If you have any questions or comments, or would like to schedule an appointment, please contact us at the numbers above or by e-mail at andy@baystatepumpco.com. We usually answer within 24 hours. Thanks and we look forward to hearing from you.